I have been pottering about with some maths for you… slightly boring I know, but important given the total codswallop we have all been told over the last few years about the EU and its political and financial remits within member states. Today the “troika” of the IMF, the European Central Bank, and the European Commission agreed to lean Greece 130bn euros, £110bn, or about $170bn. But what does this number actually mean? Greece has a population of about 11,300,000. Of these approximately half are of working age. Not all of those who are of working age actually do any work, and not all of those who work pay any taxes, but lets keep this simply for the time being. So about 5,650,000 people are trying to pay back this debt. Given that the average annual salary in 2010 in Greece was equivalent to £17,400 this means that they have been lent about 14 months salary each. And this is on top of an even bigger loan last year, and it has already been indicated that there will need to be a third bail out some time before the end of the decade. Notice that last one… yep… AMEND ITS CONSTITUTION! Staggeringly Greece has also agreed to put off elections till it can afford to hold them. Yep… Democracy is on hold, and up for ransom, till Greece pays its political and economic masters. Hmm… whats the price of democracy again? I’m unclear on your last point. Are you saying that Greece is behaving anti-democratically because it’s unable to hold elections at the time it had planned to / was required to, or are you making the broader Jeffersonian point that a country which has a national debt is not a democratic country? I just feel that it is a sad state of affairs for a democratic country to be unable to hold elections in the first place… what sort of government is so useless as to be unable to give its citizens a choice of replacement other than some sort of ‘Mad Max’ revolt that seems to be engulfing parts of Athens? I am shocked and ashamed that the troika’s offer included compulsory and constitutional binding repayment, but ignored the questions of people’s representation all together. Jefferson may or may not be right, but we live in a glass house! yes, but that would be anti-democratic if the elected government didn’t have the option to refuse. they do, but have wisely chosen not to take it. I say ‘we’ as Europeans and taxpayers in the loosest possible sense… The IMF is expected to contribute about £20billion to the bailout. Britain is obviously a member of the IMF, and therefore its taxpayers’ money will be involved, even though the UK was not represented at the talks. Current estimates are that we (as in the UK taxpayer) will be handing over about £1Billion. The final figure will be decided upon next month. Yes, but that’s a £1bn loan. 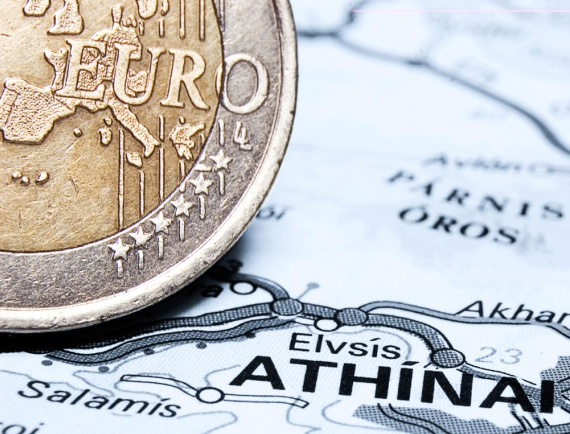 Even if Greece defaults to the IMF, it’s unlikely that we wouldn’t get the money back.